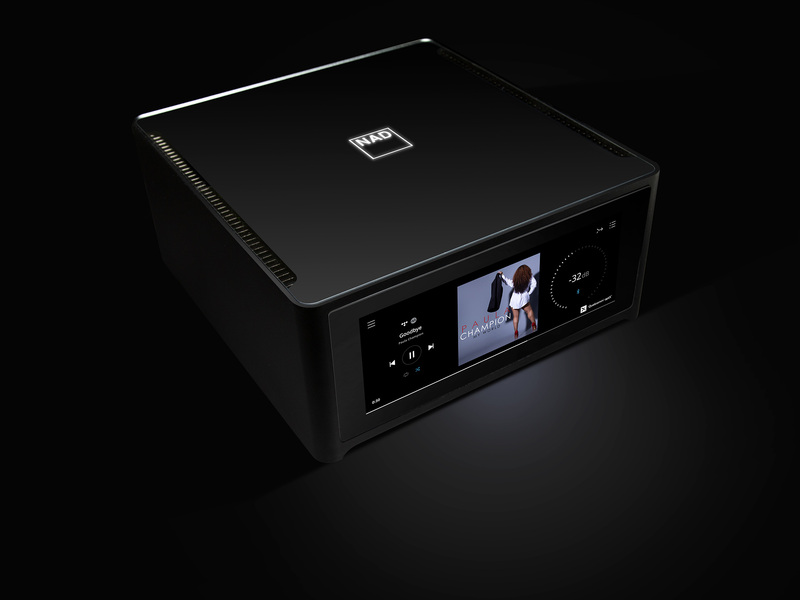 NAD is pleased to launch the new and unique Masters Series M10 BluOS streaming amplifier. Making a luxurious design statement, the M10 is an ultra-high-performance amplifier with great audiophile sound. It can also be combined with other players in a BluOS ecosystem of wirelessly networked music players throughout the home for a whole house audio system. The M10 will be available in February 2019. BluOS is the operating system at the heart of the M10 that pulls music from the cloud or from a locally stored library and logically organizes it and makes it easily accessible. The user can easily play all their music from the internet including Apple AirPlay 2. With over a dozen premium music services fully integrated, including High Res sources with full MQA decoding, the M10 opens the entire music catalog and puts it at their fingertips in Studio Master Quality. The M10 HybridDigital amplifier utilizes the remarkable Hypex nCore amplification stage offering state-of-the-art performance along with the ability to drive virtually any loudspeaker. Conservatively rated at 100 watts per channel, the M10 is both highly efficient and remarkably powerful, with the ability to render even the subtlest musical details with lifelike realism. The M10 features Dirac Live Room Correction to ensure your music can be precisely dialed in for optimum performance. 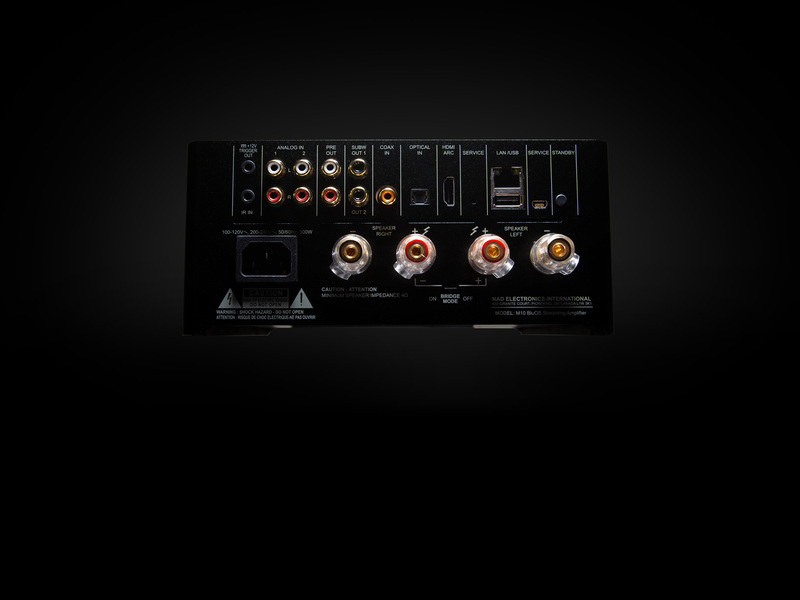 With complete analog and digital connection flexibility, the M10 can be integrated into virtually any environment. It even has an HDMI Audio Return Channel to make it easy to integrate with most modern flat panel TVs allowing the sound to come through you High Fidelity speakers yet be controlled by your TV remote. And the M10 is fully compatible with all the leading smart home systems to control lighting, shades, HVAC and security from one smartly styled interface. NAD believes audio components should look and feel every bit as good as they sound. Industrial design was commissioned to DF-ID, a renowned design firm associated with many of the world's top luxury brands. Principal David Farrage utilizes panels of glass and extruded aluminum to create a unique look for the M10 that is both elegant and understated at the same time.